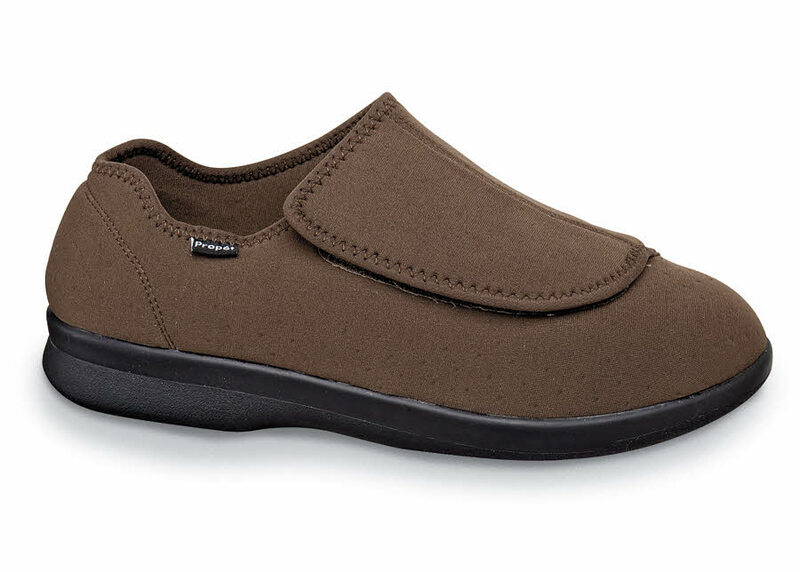 The easy comfort of Propét’s 'Cush’n Foot' stretchable shoe is due to its forgiving nylon uppers with extra-large hook-and-loop strap closure, which assures a snug fit without pinching. Removable terrycloth insole. 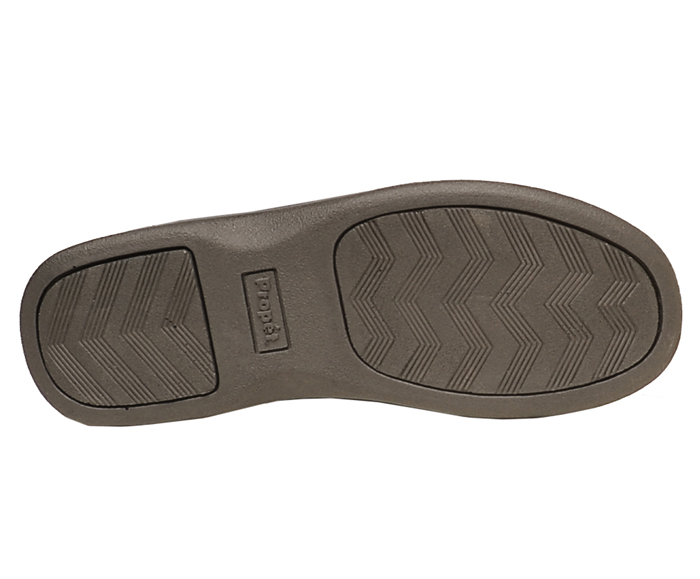 Flexible polyurethane outsole for indoor or outdoor wear. Limited stock in men's 3E and 5E widths in sizes indicated.